After my rant, I decided to post a more formal and clear approach to what I just found out. I would prefer that this one gives you more of an impression of my feelings towards the changes in Hello! Project, however the post prior to this one will give you my clear rage on the matter at hand. Thank you kindly. There is no doubt that 2011 has been the year of change for Hello! Project. With one of the biggest graduations to ever happen in the Hello! Project universe, as well as the sudden and shocking graduation of the beautiful Sakitty, 2011 has brought both excitement and tears for many Wota and fans of the groups within Hello! Project. The announcement of 9th Gen brought back the old flavour that was what the original Morning Musume was all about, and then the announcement of Morning Musume's then-leader Takitty was announced, a less-than surprising action, but something that many cried about and did not want to happen. Then, 10th Gen were announced soon after 9th gen had debuted, and the sudden surprise that was to be the 2nd gen S/mileage audition. So many pondered to as why this could be, and some were right: There would be a graduation of one of the original members. Then the sudden announcement of Sakitty's graduation was announced and she left just as quickly as we knew about the graduation, stunning a lot of her fans and S/mileage lovers. Then the 2nd gen of S/mileage became sub-members, with the sudden graduation of Kosuga Fuyuka due to health issues, and 10th Gen appeared just after MoBeKiMaSu formed. Soon, the 2nd Gen S/mileage members all became official S/mileage girls. And now we come to a new piece of news. It has come to the knowledge of many S/mileage and Hello! Pro fans that Maeda Yuuka, a first generation S/mileage member and one of the most popular members, will be graduating from the group in order to focus on her studies so that she can get into University. Though this has not been confirmed as of yet by Tsunku himself, or UFA in general, tabloids in Japan have stated that Yuuka shall be graduating on the 31st of December - 3 days after the release of S/mileage's 8th single, Please Mini Skirt Post Woman!, which is also being released on Yuuka's 17th birthday. Of course, as I have said, this is still not official until Tsunku announces it - everything is simply speculation until we hear the word from the horses mouth, so as to speak, but this is still shocking news. Shortly after losing Sakitty, Yuuka leaves too? It's not just been shocking to her fans, but also her non fans. A lot of people on the Hello! Online forums have shown their shock and surprise, saying how they don't necessarily like Yuuka, but they still think she is one of the most important members of S/mileage. 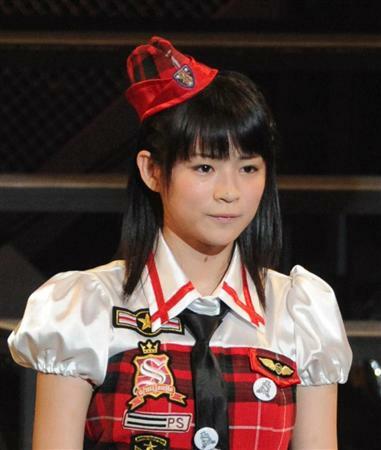 So soon after the big graduation of Takahashi Ai, and too quickly after the loss of Sakitty, this happens. Of course we would all be shocked by it. But you should not take the tabloids' word for it - this could be a rumour created to strike a bit of fear into the public, or it could all be true. Maybe this is why the S/mileage sub-members were to promote S/mileage? Maybe this is why Tsunku added them all. If Yuuka is really graduating, then I can see why Tsunku would want the sub-members to promote the group more, and why he would add them all in. If this is true, then honestly I wish Yuuka all the best - I think she is a seriously talented young girl, but, if like Sakitty, she thinks that the life of a normal girl is what is best for her, then I think her fans will support her whole heartedly and look forward to seeing her in the news again if she ever does come back into the spotlight. Maybe Sakitty's graduation to leave the Idol world for normality got the girl thinking, maybe it was her fellow S/mileage member who helped her to realise that she wanted to go to University. Whatever the reason, Yuuka has made a choice for herself and we all have to respect that. I may have ranted and raved and cried about it, but at the end of the day there is nothing that we can do other than cheer her on for her dreams and hope that one day she makes another appearance to show everyone that she is doing what she wants to do and that she is fine. But this just goes to show, if it does actually happen, that S/mileage is becoming a lot more like Morning Musume. Speaking of Morning Musume, there is a rumour going around that 2011 will also be the graduation year of the remaining 8th gen member, Mitsui Aika. This came to speculation when the above picture surfaced via Winky's Blog. A lot of people have already come to terms with the fact that Aika may be the next one to graduate in Morning Musume, however it is still a shocking thought, especially so soon after Ai's departure. However, much like Yuuka's graduation, this one has not been confirmed, and this is simply a rumour. It sparked up because Aika has not been in the photoshoot. As my sister said, she could have been in hospital at the time, or in extreme pain from her injuries. Whatever the case, I don't think that Aika is graduating yet. Sadly, that 11 on the cover is rather daunting... I wonder what it says. In all honesty, Yuuka's graduation announcement (though it has not been fully confirmed) is the biggest shock for me, however it adds to the excitement and sadness that 2011 has undoubtedly brought us when it comes to Hello! Project. It has certainly been a busy year for the Wotaverse, what with 9th Gen and 10th Gen being added, the 2nd Generation of S/mileage appearing, Sakitty's sudden graduation, the departure of Ai-chan, and outside of Hello! Project, SNSD suddenly announcing their disbandment and the new HKT48 members. 2011 has certainly created a lot of drama for themselves as well as surprising us all. But then I remember that this is Hello! Project - it's spontaneous at times, and though some of us may wish for stabilization next year, you just have to prepare yourself for more to happen if Tsunku decides to do something else. Personally, I feel that 2011 has pleased me. Though there have been graduations that I did not want and certainly did not anticipate, it has been a year that has changed my perspective of the Idol world. I find that this year, I have become more open to the Idol world and what it gives me, and I have come to love more groups because of that. I've grown to like Idols I initially thought I would never like (Winky, Takitty, Maeda Yuuka, Meimi, Johnny's Entertainment, the '48 family) as well as appreciating the Idol world for what it gives me: Excitement, happiness and things to talk about. 2011 hasn't ended yet, and I await for it to end with a bang. In all honesty, I anticipate what the remaining 2 months bring us. What about you? For me, the change in Hello! Project is something which makes me happy. There was a need for the change, and undoubtedly, things have changed. Edit: It has been confirmed that Maeda Yuuka will graduate Hello! Project before we turn to the New Year. On 12/31/2011, she shall hang up her mini skirt and move on towards her education. When this became official, my heart sunk and I truly felt sad. I'm going to dearly miss you, Yuukarin.